Living a Fit and Full Life: SONIC Drive-In's NEW Sweet Pretzel Twist & Quarter Pound Double Stack Cheeseburger Makes the Perfect Post Holiday Shopping Treat! SONIC Drive-In's NEW Sweet Pretzel Twist & Quarter Pound Double Stack Cheeseburger Makes the Perfect Post Holiday Shopping Treat! Our buttery, golden treat – now with a choice of sweet! Perfectly paired with cream cheese frosting! 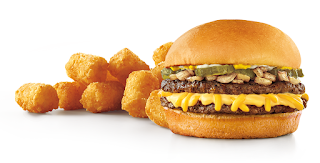 Your everyday burger with a cheesy twist and paired with Medium Tots for only $2.99! SONIC Drive-In's new Sweet Pretzel Twist & Quarter Pound Double Stack Cheeseburger makes the perfect post holiday shopping treat! 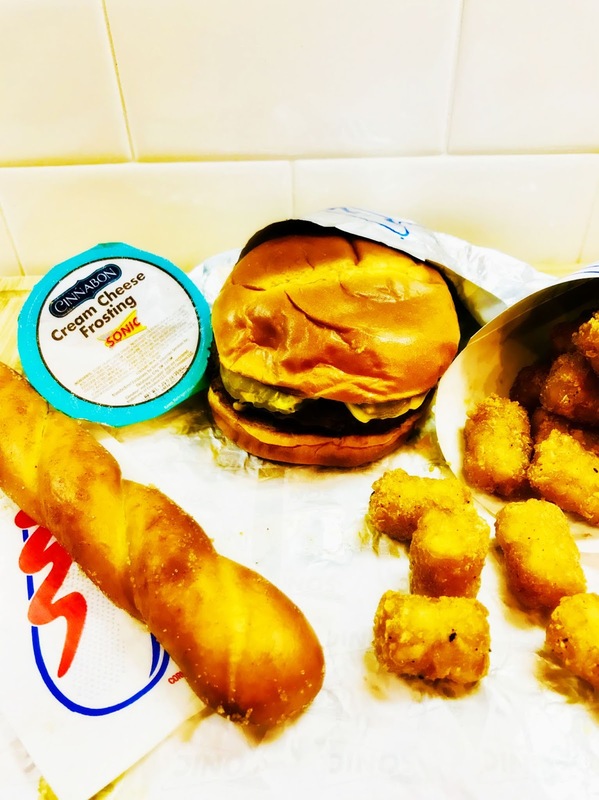 I don't know about you guys, but holiday shopping makes me hangry which is why SONIC Drive-In is my go to place to grab a quick bite. They always have just what I'm craving and then some. I recently tried SONIC Drive-In's new Sweet Pretzel Twist & Quarter Pound Double Stack Cheeseburger and was super impressed! The Quarter Pound Double Stack Cheeseburger is packed with flavor and cheese and just what I needed to keep me going. The Sweet Pretzel Twist is amazingly delicious and perfect for satisfying my sweet tooth. I love that it also comes with Cinnabon Cream Cheese Frosting. SONIC Drive-In's new Sweet Pretzel Twist & Quarter Pound Double Stack Cheeseburger are the perfect way to grab a quick bite to eat and satisfy your sweet tooth!